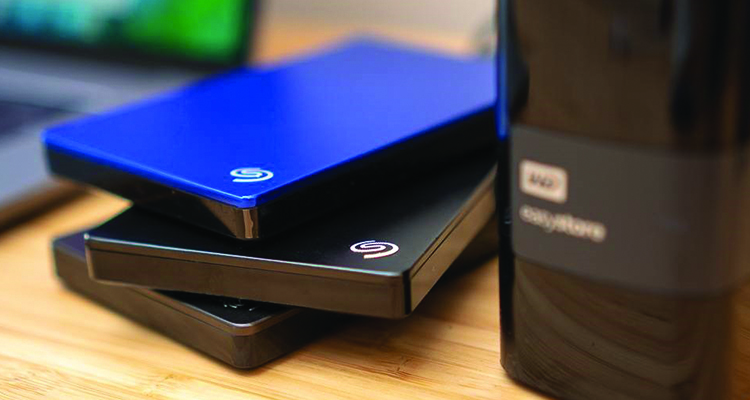 There are many features which you should consider before buying any External hard drive for expandable storage, but some of its main features include speed, space, portability, and reliability. It is very tough to call any single hard drive “the best” as there are many factors to consider, but it is possible to find different drives which best fits with the need of anyone. Buying one of the best hard drives for your need is very important, so we make sure that the user is getting the right one by listing some of the best external hard drives 2019. Thanks to the compact sizing, speed and compatible encryption software of Samsung T5, we can say that there is not any other external drive which we can recommend over T5. Samsung claims that its latest model T5 can withstand a drop from as high as 6 feet without any difficulty, as it is encased in a solid, aluminum shell. This is stated as the most reliable external hard drive. The Samsung T5 comes up with different variants depending on its storage capacity, which are 250GB, 500GB, 1TB, and 2TB. 2. Western Digital My Book Duo- The best professional storage: If you want extremely massive storage to store your data then this Western Digital My Book Duo is perfect to you. It comes up with different variants depending on their storage capacity which can vary from 4TB to the maximum of 20TB, which also makes it a very expensive external hard drive. You can back up any of your files with the help of RAID array, but this can be possible only if you don’t mind sacrificing the ample space from your storage. 3. Seagate Backup Plus Ultra Slim Portable Drive- The Most Lightweight: The Seagate Backup plus ultra hub is the most lightweight drive with two front-facing USB 3.0 ports, through which charging and managing other devices becomes easy. One-click backup as well as scheduled, automatic backup plans are enabled with the downloadable Seagate dashboard software. It comes up with the maximum of 6GB storage capacity. 4. ADATA SD700- The Toughest Hard Drive: This ADATA SD700 is called as the toughest Hard Drive due to IP68 dustproof, waterproof, and military standard shockproof, due to which it can withstand tough conditions. It comes up with the maximum storage capacity of 1TB with 256GB and 512GB variant. Overall it has a great performance but is a bit high in price. 5. Western Digital My Passport Wireless Pro- It is also known as the best budget hard drive which does not require any external power. It is readily available at a low price with 6 different colors. The price of this external hard drive varies with the different variant of its storage capacity till 2TB.